Create and create with the Minifigures Series 4 . It's 1" Height x 0.25" Length x 0.25" Width. 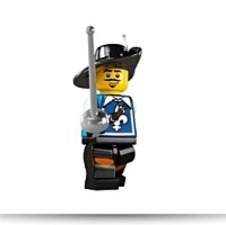 If you need a great deal for this Lego minifigure for your kids, check out our affilate add to cart button. "Do you dare to face my blade? The Musketeer searches the planet high and low for skilled adversaries. But alas, every single duel ends in quick victory, and then there's nothing at all left to do but shake his defeated rival's hand using a thanks for trying. "To the dashing Musketeer, there's nothing within the globe better than a clash of blades using a worthy opponent. 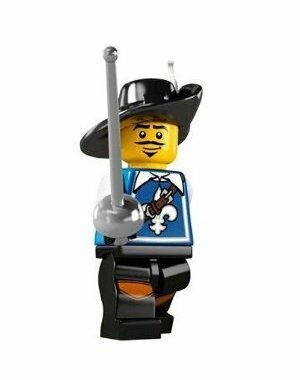 And then, with a smile, a wink and a bow, the Musketeer departs to seek his next opponent! Of course, when you're as very good with a sword as he is, worthy opponents are pretty few and far between!